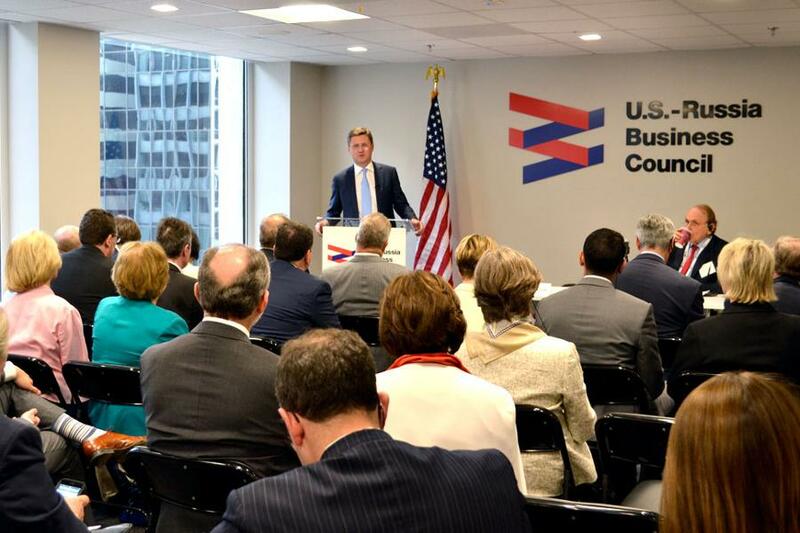 USRBC hosted a discussion for Council members with Minister of Energy Alexander Novak on Tuesday, June 26 in its Washington, DC office. 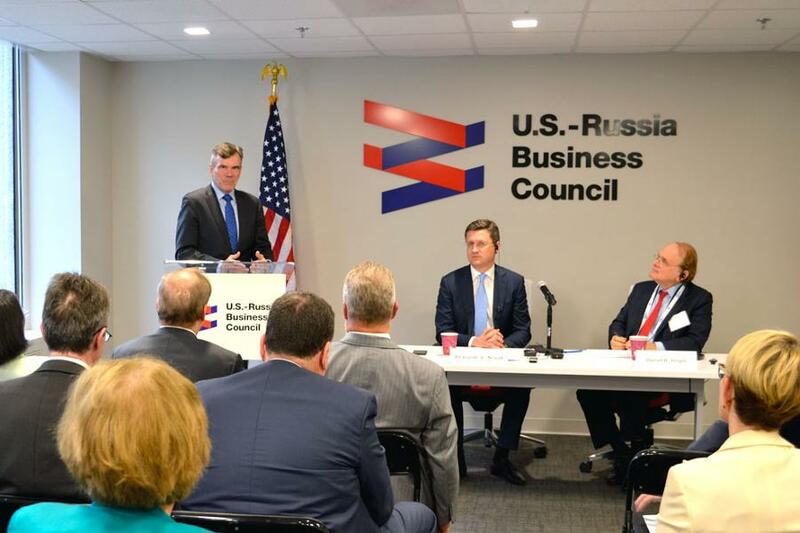 Minister Novak, who met with Energy Secretary Rick Perry in Washington yesterday following discussions with his OPEC counterparts on the future of the OPEC+ production cut deal, discussed Russia’s energy sector priorities and offered his thoughts on the future of energy in Russia and globally. Alexander Novak was reappointed as Minister of Energy in May and has served in that position since 2012. He previously served as Deputy Minister of Finance from 2008 to 2012. 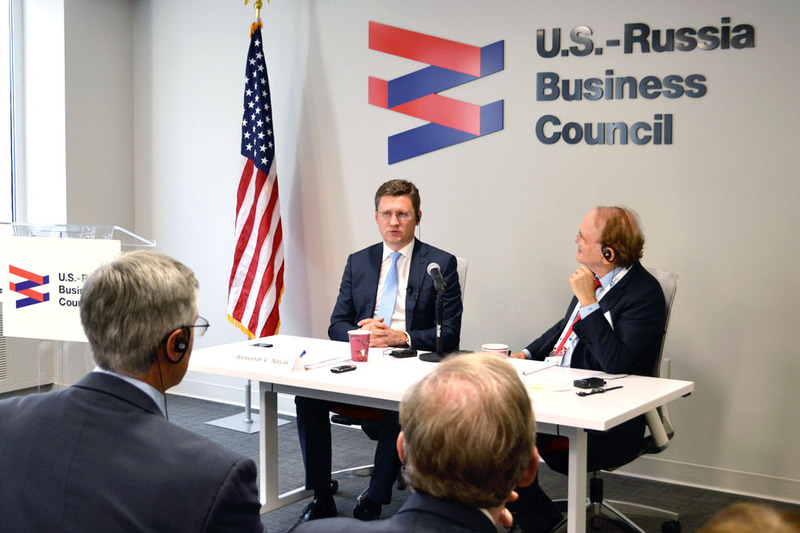 Minister Novak came to the federal government from the Krasnoyarsky Krai regional administration, where he served in leadership positions including Deputy Governor and First Deputy Governor and oversaw the financial bloc of the regional government. He was Deputy Head and then First Deputy Head of the Norilsk city administration for financial and economic policy from 2000 to 2002. Minister Novak holds a degree in Economics and Management from the Norilsk Industrial Institute and a degree in Management from Moscow State University.